The Abuja Writers Forum continues with its Guest Writer Session on 24th November, 2018 at the Fountain Hall of Nanet Suites from 4pm to 7pm. The guests in focus for November are Madeline Agoba and Chiemezie Onqubalili. The session, which is open to the public, will feature entertaining readings, live music and a raffle-draw for books, amongst other fun literary stuff. 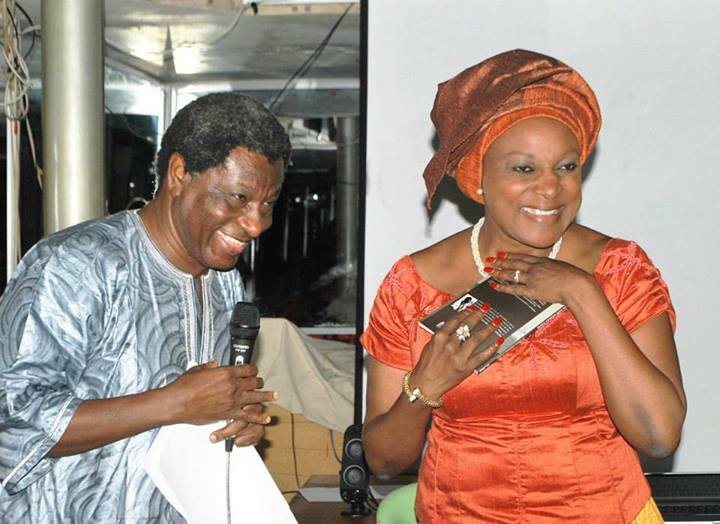 WHEN SATAN CAME TO ABUJA: WRITERS BEWARE! If you know anything about Abuja, then you know it is the new city of sin. Not so new. It has taken over from Lagos and all those other evil lands. Preachers have done their best but it seems there are a lot of people who are fighting the prophets… Have you heard about the church of Satan? There’s much happening in the capital city. So, I came to Abuja but there are several people who know that already. I should blog about what has been happening since Sunday. The capital city is burning with activities and every day has been some day of book and book magana plus one religious this or that. Now, let’s talk about yesterday, Saturday 30th April 2016. 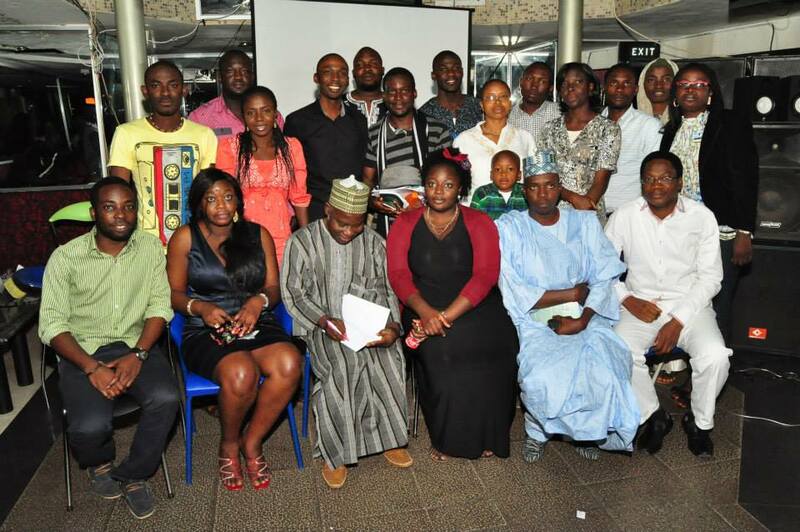 It was the Abuja Writers’ Forum’s Guest Writer Session at Nanet Suites. The artistes of the day were Obinna Udenwe (author of Satans and Shaitans), Ishaya Bako, a film maker, and a musician, Austin Oroko. Yeah, Obinna was the Satan holder. Of course, you know that is what this piece is about, no? The session started with a musical interlude – okay, maybe an opening – by Austin Oroko. Next, Obinna Udenwe read some pieces from his engaging thriller, Satans and Shaitans, which was joint prize winner for the Association of Nigerian Authors’ Prose Prize 2015. The book is about terrorism in Nigeria and shows a backstory of what might be happening – of collaborations between the most powerful and wealthy people in the country; Christians, Muslims and everyone else. All of them working to ensure that they maintain power and get stronger in their caprices. This book if looked at critically might be confused as the testament behind what has become Boko Haram today. Remember it is fiction though. 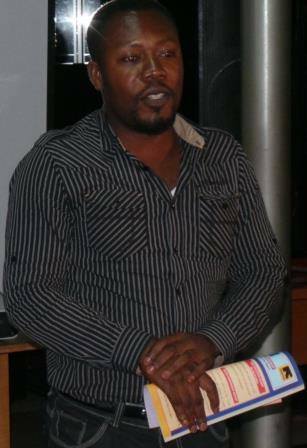 Obinna hinted that when he wrote the book, people had mentioned that he would be killed. Well, he published the book in the United Kingdom in 2014 and Nigeria in 2015. Still, he was still alive. Ishaya Bako took the next turn showing his twenty-minute movie, Henna. The movie is set in a typical Northern Nigerian environment. It is centred around Reina, a girl of puberty age who is meant to be given out in marriage to a Mallam, just a few days after seeing her first menses. Now, we are shown Reina is a very brilliant student. It becomes disturbing that her dreams would be cut short because tradition dictates she must submit to the whims of a husband. I was touched because when I served in Bantaje, a community in Taraba state, some years ago, I had some of my finest and most beautiful students just disappear from class. It is like, you just don’t see them again. Much later, you might find them in town or get the memo from someone – they are married. The end. Somewhere else, her friend Amina, dies after being married at a very early age. Ishaya’s narrative is engaging and he puts a twist to the tale that defies what would ordinarily happen in society. This was the second time AWF was hosting Ishaya. I was there at the first when he screened Fuelling Poverty, which I hear has been – or was – banned. During the screening, Ishaya moved around, getting comments from members of the audience even as NTA interviewed him. Luckily, we didn’t say anything wrong or he would have caught us! Hee hee hee. Anyway, it was time for questions and answers. Several questions were asked. Notably, Paul Liam challenged the love angle of Obinna’s narrative and said that the character, Donaldo, had not been properly developed and there weren’t pointers to what he eventually became – a murderer or so. Then, we were whispering, and the idea mainly from Paul Liam that there was a link between Chimamanda Adichie’s Purple Hibiscus and Obinna’s Satans and Shaitans was raised. There is this thing about the wicked Christian father who deals with the daughter in the two novels. In the case of the Obinna’s novel, the father is an Evangelist. Nana Sule, who sat beside me, was the one whose mouth we chewed the question into. The question was if it was possible that the author would have made a different person the wicked one, say the mother, or made his narrative markedly different from Chimamanda’s. Obinna replied that there was no way he could have done so because in Igboland, where he comes from, ‘fathers especially Christians like that are known to be the callous and wicked ones.’ Mothers are caring so there is no way he could have written it differently. Oh well. Now, we know that Igbo renowned Evangelists are all abusive and vicious. Thanks Obinna. There were other questions thrown the way of Ishaya Bako the film maker and Austin Oroko – the Otong Kong smooth sounding musician. Oh, I should add that Nana Sule after asking Obinna the question above threw some words towards Austin: ‘I like – scratch that – I love your voice!’ Hmm, no be small blush o! Before the event started, he had passed by us in the restaurant and the girl had complimented his hat with a twinkle to her eye. We noticed the blush then, though I tried to cover up for my guy. So, the house went all rowdy at her ‘I love your voice’ compliment o. Dr Emman Shehu, our AWF President had to hold Austin’s head down so that it wouldn’t swell too much and blow. There was a raffle draw for books to be won. Almost all of my people from Aidee Erhime to TJ Benson [who was shortlisted for the Saraba Manuscript Prize, Fiction Category], Nurudeen Temitayo [publisher of AMAB books who published the Nigerian version of Satans and Shaitans] Nana Sule…won. Halima Aliyu was the only one who didn’t win o. Halima is the Lead Editor at AMAB, the author of Fire on the Tip of Ice (a collection of short stories) and a brilliant mind. We sat together through the event – did I say that before? I was touched when a father brought his son, Favour, to me to sign Home Equals Holes for. I pray more parents would expose their children to such forums early enough. It was soon time to head out after taking pictures and all those good stuff of chatting, yabbing and all. I tried to convince two new acquaintances, Aisha and Hadiza Obi to follow their thoughts to join AWF. I hope they will. other Sunday in the month but the last at Terazzo Lounge, Port Harcourt Crescent, off Gimbiya Street in Area 11, Garki Abuja. 4pm prompt for all events. Hola if you need any more info or if you want to register into the forum. Anyways… back to that Saturday night…yesterday. I got my stuff and took a walk with three friends – Laolu was one. The literary discussion had only begun. But let me not bore you too much. There’s so much to be discussed on the literary scene and new narratives to be written with others meant to be rewritten. I only hope we are courageous enough and get the platform to engage meaningfully. Ishaya, Austin, Dr. Emman, Obinna – action! Hello! How are you doing? I can guess great. Now, are you in Abuja this Friday (25th) and on Saturday (26th)? Well, are you looking for a place to chill out on Friday and/or Saturday evening(s)? Better still, are you a literary enthusiast in any form? Now, whether your answer is YES or NO, you are in luck! The event is usually compered by Jide Atta, and of recent, different established poets/writers notably Reward Nsirim (author of Fresh Air and other short stories), master performance poet, Dike Chukwumerije; and yup, I had cause to be host on an occasion or two. In addition to the lovely writers they usually bring and the beautiful environment, other attractions include winning cinema tickets to watch any movie of your choice at the Silverbird Cinema. How? There are several ways and the different hosts do it differently depending on how many tickets are up for grabs. Compulsorily though, there’s usually a raffle for those who bought books of the guest writers. You could win from coming early – be among the first three; winning one of the small writing challenges and the like. The audience is usually a mixture of celebrities and writers including Eddie Iroh, Kabura Zakama, Chinyere Obi-Obasi and expatriates e.t.c. The Book Jam has featured writers/personalities like Mrs. Eugenia Abu, Nze Sylva Ifedigbo, Reward Nsirim, Iquo Diana Abasi, Olugbemiga Ojo, Nnamdi Eboh, Abubakar Adam Ibrahim (Caine Prize Shortlist 2013) and the like. 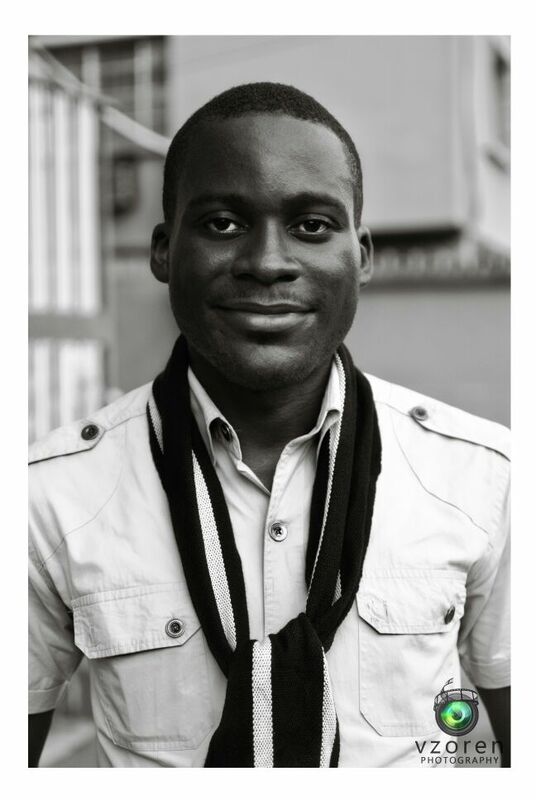 This October session has on the menu, one of the top three finalists of the 2013 NLNG Prize for Literature Amu-Nnadi Chijioke. He would be reading from his new poetry collection Through The Window of A Sandcastle. 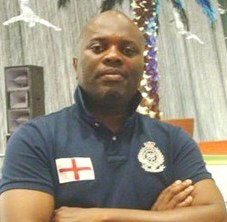 Also making an appearance is lawyer, playwright and novelist R. C Offordile , author of the prose fiction Thou Shall Not. Note that the Abuja Literary Society meets every, 1st Friday of the month at Transcorp Hilton Hotel, 7 p.m; Second Friday @ Silverbird Entertainment Centre Abuja 7pm, Third Fridays @ Salamander Cafe, Abuja; BookJam holds every Last Friday of the month at Silverbird Entertainment Centre Abuja 6pm; Abuja Poetry Slam (performance Poetry competition) holds in March, June, September, and the Grand Slam will be in December. Special Guest writers will normally feature at the First Friday readings @ the Hilton. Special workshops, retreats and exchanges are part of our programmes. ALS can help you with manuscript editing ,organize a book presentation, marketing or special literary nights/events. For more information, you can send a text to Chinelo: 08067958680; Ken: 0803-155-2555; or Victor: 0803-311-7246. This event has grown from simply being a guest writer session to a guest artiste session. This year alone it has featured award winning and skilled writers including Musa Idris Okpanachi, Obari Gomba, Obemata; the photographer Numero Unoma; the economist Tope Fasua, (I actually read with the last two); the film directors and producers, Ishaya Bako and Kasham Keltuma. Past guests at the writer session and/or workshops include Chimamanda Ngozi Adichie, Uwem Akpan, Richard Ali, Gimba Kakanda to mention a few. The audience is always a rich selection of the literati with regulars like the regular Dr. Kabura Zakama, Mike Ekunno. 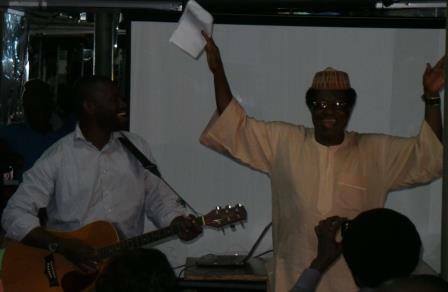 The event is usually hosted by Dr. Emman Shehu, the President of the Abuja Writers’ Forum with assistance from the acting Secretary, Elvis Iyorngurum. Each Guest Writer Session keeps evolving such that sessions now include live viewing of short documentaries and movies like Ishaya Bako’s ‘Fuelling Poverty’, photo exhibition from various artistes; musical presentations from artistes like Tokunbo Edwards, David Adzer. The AWF is renowned for creating events that set the pace leaving audiences thrilled. There’s usually a raffle in every guest writer session where members of the audience win fantastic prizes. For October 2013, two budding Amazons, Hajo Isa and Ananga Stella Iyimoga, working in poetry and film will feature at the Guest Writer Session of the Abuja Writers Forum (AWF). Hajo has been a guest at the event previously and would be set to exploit her charm and talent to entertain the audience. Ananga Stella Iyimoga would present a feature film “For Love or Country”, which tells the story of Bala, a Nigerian, a Medical Doctor based in the UAE who is frustrated with Nigeria intends to settle in the UAE. He proposes to his girlfriend Kemi also a Nigerian studying in the UAE, but she has plans to return to Nigeria to make a contribution to its development and wishes Bala would do the same…. There would be a fashion exhibition too and soooo much more. Remember the venue is Nanet Suites, Beside the Federal High Court in the Central Business District of Abuja. Time is 16:00hrs (4:00pm) to 19:00hrs (7:00pm). Oh well, I hope you get there safe and in time. Much to be won, much to be expected…. Cheers! Well, it’s back to Abuja for me and I am reading at the Abuja Writers’ Forum. As part of the monthly Guest Writers’ Session that the Dr. Emman Usman Shehu led organisation conducts at Nanet Suites every last Saturday of the month, I would be reading with Tope Fasua and Numero Unọma. It’s been fun, you know. There have been calls from everywhere with the ‘Hey! I saw you in the papers’ and all. Surprising that the calls only started coming in after Dr. Shehu called to ask if I hadn’t seen any of the papers… Well, I still haven’t seen any. I copied the link from THISDAY online and discovered that I had been described as a ‘Cultural and development enth’ … Whatever that means! Had mon belle note the error to me and I got to check the dictionary to see if perhaps some editorial mishap had blessed me with a name to go for ages. Oh well! It wasn’t to be. So, for the record, I believe that’s meant to be ‘enthusiast’. The AWF Readings are always a thrill and there is hardly ever a dull moment. I have been at most of them since the very start – was that 2008? It gets better each year and with each passing month. This year has been really cool! Only last month the AWF session had three guest ‘writers’ – artistes more of – at the session – all of them award-winning in their own right. They included poetry maestro, Musa Idris Okpanachi who read from his From the margins of Paradise which left lots of people grabbing copies to learn new vibes for their boos. Fortunately, he’s my paddy so I got lots from the original himself! SEVHAGE had organised an event for him two months earlier so it was only a reliving of that experience. Two filmmakers, Kalsham Keltuma and Ishaya Bako thrilled us all with breath-taking short films. There were celebrities in the house including the lovely Mrs. Eugenia Abu (who came with her daughter and in her trademark kindness bought books there that were donated to the students and Corp members in the audience); Abubakar Adam Ibrahim and ElNathan John (journalists, writers and yup, Caine Prize nominees); Elvis Iorngurum; David Ishaya Osu and the like. It is usually like that. Lots of people come from far and wide. Dr. Kabura Zakama, Jim Pressman Mike Ekunno, Steve Fiberesimma are notable faces there. Now, in my bid to post this quick all the names do not come to mind but trust me, there are usually lots of interesting known, famous and infamous faces at this event. There are also lots of gifts won at the raffle where one qualifies by simply being present! Wow! Tope Fasua would be reading, I believe, his book Things to do before your career disappears. He was at AWF last year – I was at that reading – where he read from his book, Crushed. Tope an economist and chartered accountant, prides himself as one of Africa’s young modern historians and sociologists , by choice. Apart from keeping a column with the Abuja-based Sunday Trust newspapers and writing occasionally for other media houses in Africa, he is passionate about contributing his quota to the debate about Africa, using his home country, Nigeria, as case study. A position showcased in his debut book, CRUSHED, which is increasing garnering attention as a major out-of –the-box perspective. Tope is an engaging writer and personality whose brilliance shines in his speech as well as books. she says. Hee hee hee. She said she would be expecting some questions…curious ones, cheeky ones, perhaps even rude ones. Hopefully, she wouldn’t be disappointed. 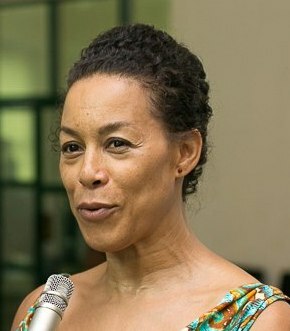 For the record, Numero is a Nigerian visual artist and writer, with her deepest roots in photography and poetry. Calling herself an Afro-neo-feminist, she has lived and worked in many different cultures, and studied first psychology, then photography & multimedia. All these inform her work, bringing to the fore a perceptive subtlety in her visual work, and a brutal candour in her writings. Her visual work has been described as photographic poetry and her poetry as semantic imagery. She is as fun as she is fair skinned and yup, I can assure you you just would love her exhibition which has found lots of applause in the United States of America, the United Kingdom, other parts of Europe and West Africa. Su’eddie… What would I be reading? Have you ever heard me read a short story? Okay, maybe once. But there is the chance to hear the other part of me that isn’t completely verse. Well, a short story and poems from Bring our casket home: Tales one shouldn’t tell. I guess I would have lots of buddies around since AWF is home so I would have to gear up. As I write now, I remember that a prophet has no [what’s the word?]…. eh, no something not nice [I would remember the word later if I am so honoured 😉 ] so I would have to be at my best. The Association of Nigerian Authors (in Benue and Abuja and other parts), the Benue State University‘s Writers’ League, and far more, the Abuja Writers’ Forum have given me some criticism that has helped me get better each day. I think I am still improving – even as I write. We would put all that to the reading tomorrow in addition to all the other talents gotten in the increased readings. If you are in Abuja, please make it a date to come. If you can pick copies of our books, that would be great. I can assure you, they are affordable and definitely worth it. And if you can’t, just ensure you come. Have fun. What would you lose? If you are not in Abuja tomorrow or can’t make it to the Guest Writer session, make it a date to attend the next (and all subsequent) AWF readings. The place is Nanet Suites, beside the Federal Secretariat. Time is 4pm and date, of course (for this month’s reading), 31st August 2013. Our hosts, the Abuja Writers’ Forum. See you there. Why are they being so harsh and against protesters? Why didn’t they show this aggression when certain people protested against the anti-gay marriage bill? 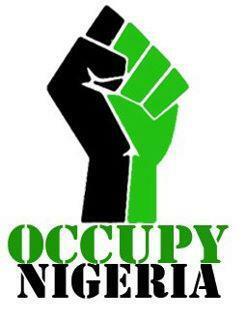 Not in a long time has Nigeria seen this kind of unity. It simply speaks of a people determined to overhaul the draconian laws of a supposed democratic government. Why is the government being obstinate? We are together across the lands from every part. I salute all those standing for their voices, Seyi Balogun (Rest in peace Sir), Emman Shehu, Chika Unigwe, Jeff Unaegbu, Richard Ali, Doowizi Akegh, Nasir El Rufai, Gimba Kakanda, The NLC, TUC, Citizen Musa, Citizen Chinasa, Citizen Titi, Citizen Terdoo, and us all…. Let Aondo (God) help us. We are together and trudging on.